The common refrain is minimum wage is teenagers, living for free, working part-time. Union workers whose contracts are indexed to the MW. A raise for one is a raise for all. Also, if you carefully read the OP's propaganda poster, it says the same thing. It seems to imply those folks are all earning minimum wage, but it is carefully worded not to say that, exactly. Why is a 37 yo still making min wage? Why haven’t they worked up the scale? Looked for a better job? will the teenager make the same as someone who has worked for min wage for 20 years? the big question; will the guy who worked their way up and already making the NEW min wage also get a raise? Last edited by bubba68ss; 02-06-2019 at 01:52 AM. The poster is a lie. The Economic Policy Institute is a 501(c)(3) non-profit American think tank based in Washington, D.C. that carries out economic research and analyzes the economic impact of policies and proposals. The EPI describes itself as a non-partisan think tank that "seeks to include the needs of low- and middle-income workers in economic policy discussions". It is affiliated with the labor movement, and is usually described as presenting a liberal viewpoint on public policy issues. Yes, I think the poster that noted that they couch it as who will benefit from a MW raise is correct; they're not just referring to those making MW. Deceptive and I withdraw it as an argument. How many of those earning minimum wage have degrees in psychology, philosophy, victimology, social justice, african history, english, lesbiangaypedophiletransgender studies? Shame on everyone who removes incentives to do better than minimum wage. Easy answer, make the minimum wage $45.00 an hour, poverty solved! Q1: Why would anyone hire a teenager at those rates?... You can hire a 37 YO. 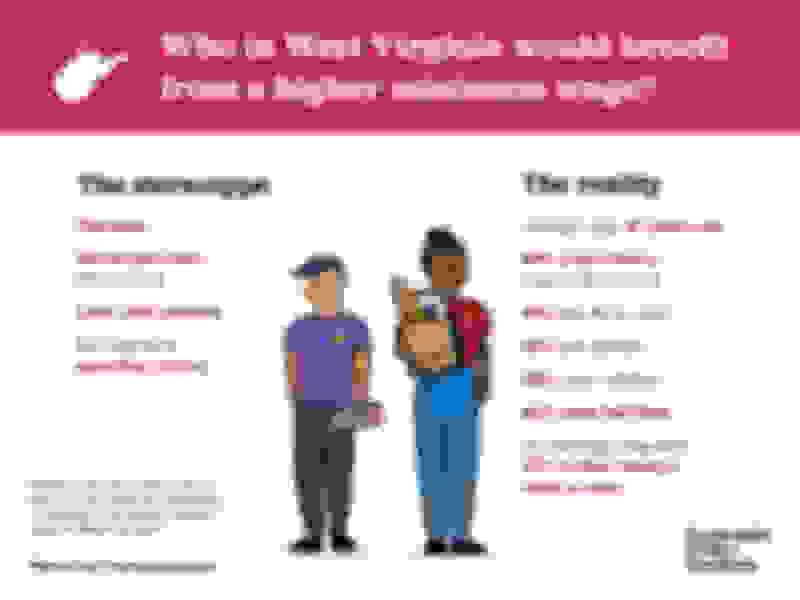 Q2: Where do the teenagers get work experience so they don't end up a 37 YO earning minimum wage? No one benefits from a higher minimum wage except politicians. The individuals within the political class use the issue to acquire or maintain power, and the higher tax revenue from increased payroll tax helps absolve the politician of their responsibility to solve problems. Meanwhile, it makes the group of people who are unemployable even larger, inspires automation and mechanization, and guarantees that the zero skill person will never receive on the job training. Furthermore, it stifles innovation and entrepreneurship through the process of inflation, but of course no one talks about that because almost no one knows you eat hand to mouth for several years if you are trying to start a business, or fund the development of a new product, out of pocket. 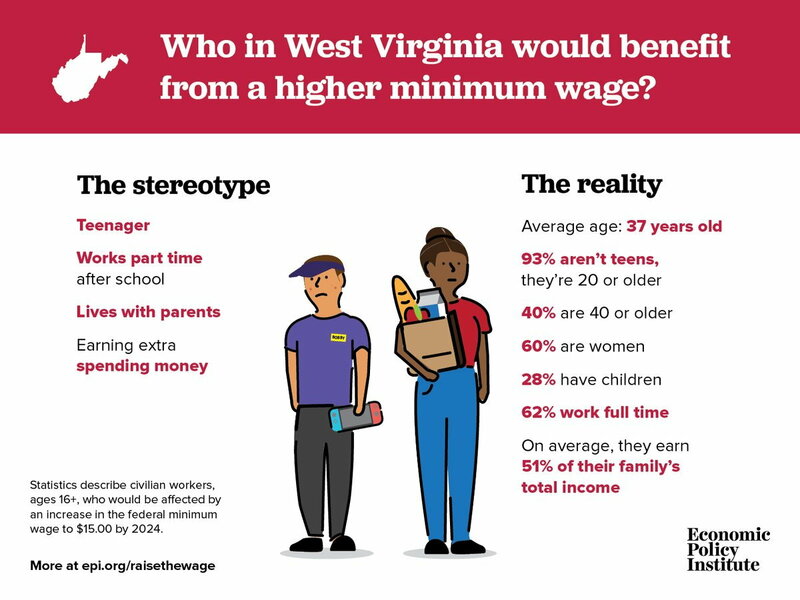 Moreover, the high minimum wage hurts minorities more than the majority because they are the least likely to have received a decent education or meaningful job training. Last edited by PatternDayTrader; 02-06-2019 at 05:24 PM. The average age of a minimum wage worker is 37? If that's true, then the problem with that state sure as **** ain't the minimum wage. Or is this just going by the weasel terminology "at OR BELOW minimum wage" so you can include the entire bartender/waiter population to skew the figures, when in reality those people are doing fine? Last edited by Red99SS; 02-06-2019 at 05:27 PM. Furthermore, at the risk of stirring up a hornets nest, why am I supposed to feel badly for the women who kept falling for "Mr. Wrong", having a child with him, divorcing him, marrying another "Mr. Wrong", having yet another child with him, etc, etc....??? This thread is the evidence that deception works. And let's not forget all the illegals who will work off the books for less than minimum wage. You make your own life, you make your own luck. I could tell my life story, my mom raising 5 kids on her own, she was a single mom before the phrase was coined, she never owned a car, took a bus to work 6 days a week, left the house before 7 AM, never was home before 7 PM, NEVER TOOK A PENNY FROM TAXPAYERS!! You need to stop siding with the lazies in society, EVERYONE has an avenue to better their lot in life, but some never will pursue, why, because socialists have convinced them it is IMPOSSIBLE!! You are paid what you are worth, you are treated as you treat others, you get out of life what you put it. This is not a third-world country where the guy with the most guns rule, THIS IS AMERICAN, STILL the Land of Opportunity, there are MILLIONS of stories of those who have risen far beyond their conditions, the problem with those who are not successful is that their leaders keep telling them they cannot be successful!! There will always be exceptions, but you can get a post-high school degree if you qualify, and have done mortgages for CNA's, which required a 12-week course in FL, that make $20/hr, and work 50 hrs/week.